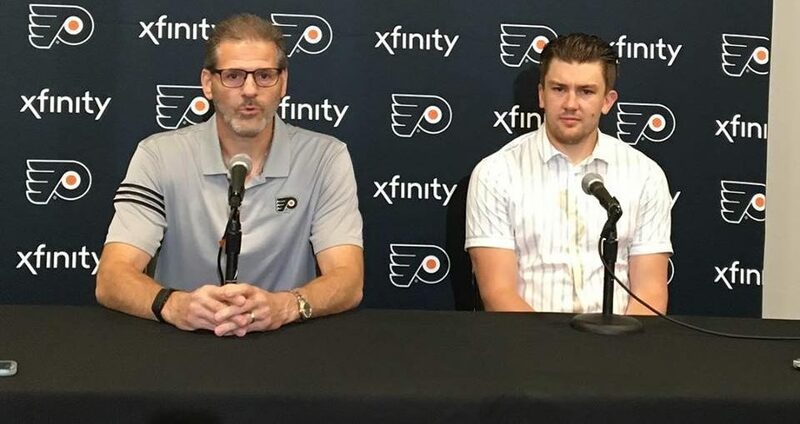 Voorhees – – JVR is back in Philadelphia. He fits in this town. He had mostly good times in Philadelphia. He was a home-grown player who was drafted 2nd overall in the 2007 NHL Entry Draft. He didn’t need to be sold on the organization. He knew he was going to get paid. It was the players, winning attitude of the organization and the food. “They have a lot of skilled players, guys that are good with the puck, make good plays, skilled players with right-handed shots, me being left-handed it’s nice to play with guys who are righties,” JVR said, clearly scouting this team before free-agency started. Toronto’s loss is Philadelphia’s gain. Toronto didn’t have him in their plans and they were direct enough to tell their top goal scorer (36) about their future plans. He played in Toronto for six years and when he’d come back to Philadelphia he would frequent a particular restaurant. He spent six years in Toronto. He left having his best season as a goal scorer. In his three years in Philadelphia, he was a developing player. Now that he’s developed you can expect him to get 30 goals or more and close to 70 points this season. Here’s a look at his new jersey here.